He has helped hundreds of leading corporations design and implement his Stage-Gate® innovation and new product development process. He is also the developer of the NewProd® system for screening and diagnosing new product projects.... He has helped hundreds of leading corporations design and implement his Stage-Gate® innovation and new product development process. He is also the developer of the NewProd® system for screening and diagnosing new product projects. Edgett, Scott J., and Jones, L. Michelle, “Ten Tips for Successfully Implementing a Stage-Gate® Product Innovation Process,” Reference Paper #33, Stage-Gate International and Product Development Institute Inc., 2012. 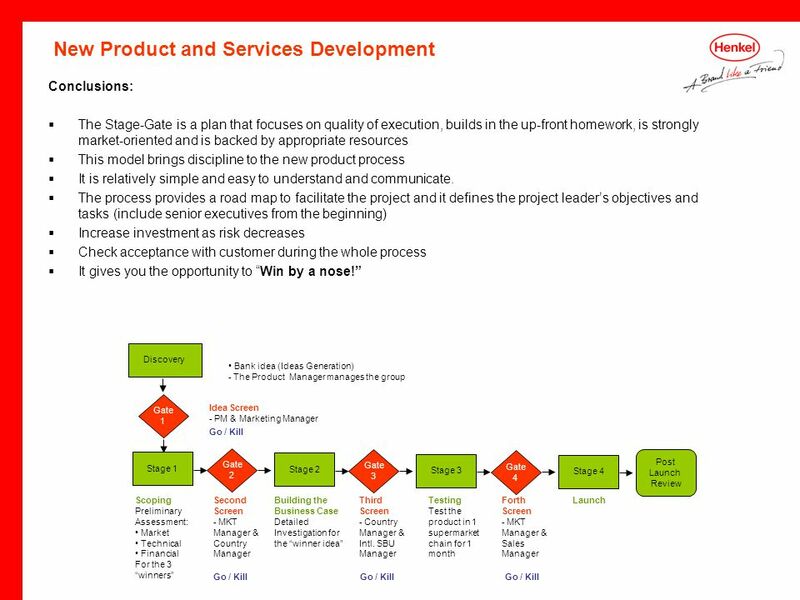 Stage-Gate Process for New Product Innovation The Stage-Gate™ Model is a process introduced by the Product Development Institute’s Scott Edgett and Robert Cooper, based on their research on patterns of successful and failed new product launches.